Many organizations face Microsoft True Up which audits the amount of licenses purchased and much of them are used. It takes quite some effort to make sure the organization is compliant to avoid any financial penalties when more licenses are used than initially purchased. When the auditor arrives, then he or she also takes quite some time gather all the required information so compliancy can be checked. 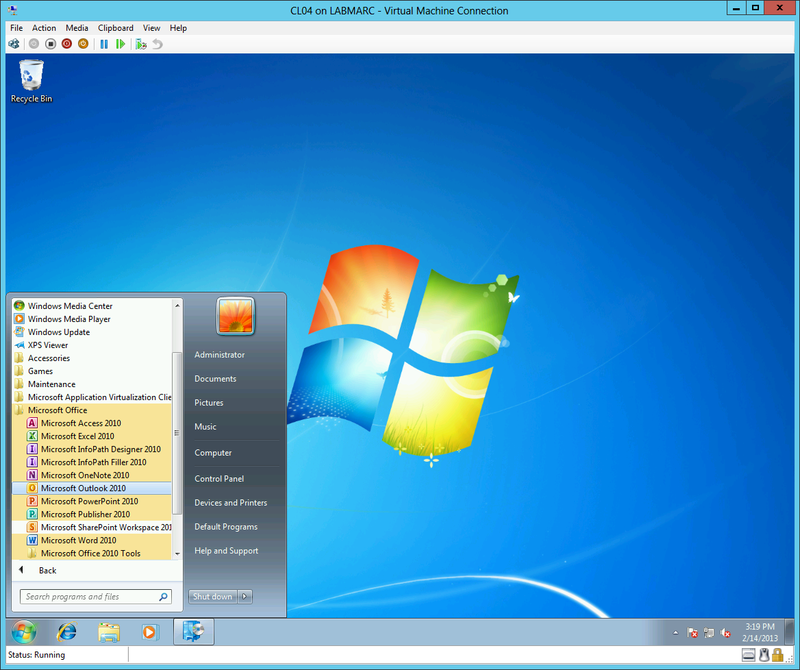 System Center Configuration Manager 2012 allows organizations to make this auditing process go smoother. Asset Intelligence is used to provide compliancy. After enabling the Asset Intelligence Synchronization Point, all you need is your Microsoft Volume License Statement which can be downloaded at your portal. Importing this file is a straightforward action and takes a few minutes. Using Asset Management by running the Hardware and Software Inventories and Software Metering allows administrators to gather all the required information needed to validate compliancy. It may be clear that all machines need to be equipped to allow the organization to run the inventories. Once the auditor comes by to do the audit, then I can imagine he can leave quickly after generating a few of the reports displayed here. I can imagine that an auditor is very happy when he sees a ConfigMgr 2012 deployment up and running because it allows him to get the information quite fast using these reports. In the previous version, ConfigMgr 2007 people were building their own reports. While I encourage this it is very likely that the standard reports here should get you starting pretty well. Many large organizations have multiple offices, some of them are even spread over different countries or even worldwide. In some cases, branch locations have either high latency WAN connections or WAN connections which are unreliable. Some organizations have policies stating they need to be on their own if the WAN link fails, even when these locations are equipped with reliable low latency WAN connections. If clients are unable to connect to any management point, then they’re unable to receive policy and servicing comes to a standstill for them. This means you’d like to have a management point on those locations so clients can still receive policy. If the WAN connection is not available, then at least clients can be serviced. Only new policy cannot be provided. Management points use the site database, but what if the site database is on a different location where you depend on that WAN connection? I admit, the scenarios mentioned before are either very rare because company policy allows service degradation for managing clients. Recently, I was challenged with the objective that a customer has branch offices which must be able to be on their own in case the WAN connection to the main office fails. Technologies such as geo clustering or failover to other locations of servers is against organizational policy and therefore not allowed. So I faced the limitation of not being able to access the site database server for some locations where one or more management points are deployed. To be honest, it became quite a struggle to meet the major requirement of letting locations depend on their own even with the constraints the customer defined. All you need is having an SQL instance locally available at the branch location which will store the database replica. Since using SQL for System Center doesn’t require any license costs it makes much sense to install it even locally on the site server that hosts the management point. As said before, I had no need to implement this solution in the past and I can’t imagine more specialists are not familiar with this feature. I consider it a hidden key to open high availability door to the max. In one of my current projects, a customer asked me if a Private Windows Store exists which facilitates app deployment in a corporate environment. 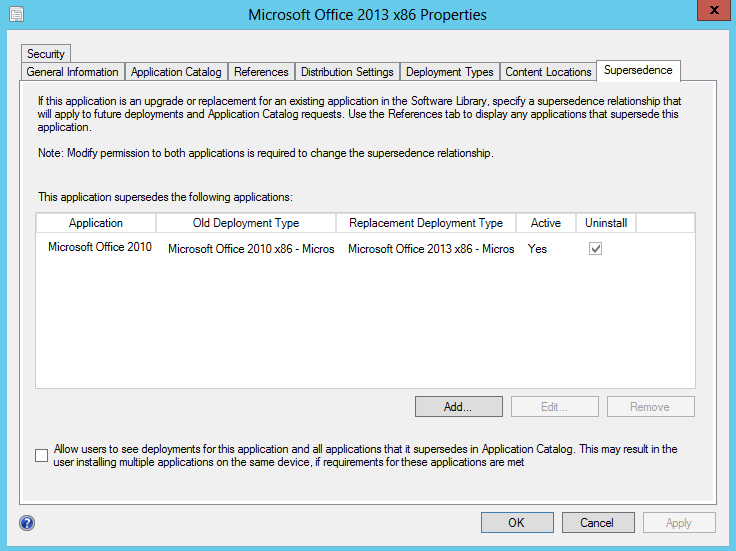 Using the Application Catalog is more or less a Private Windows Store if you deploy applications on an on-demand basis. 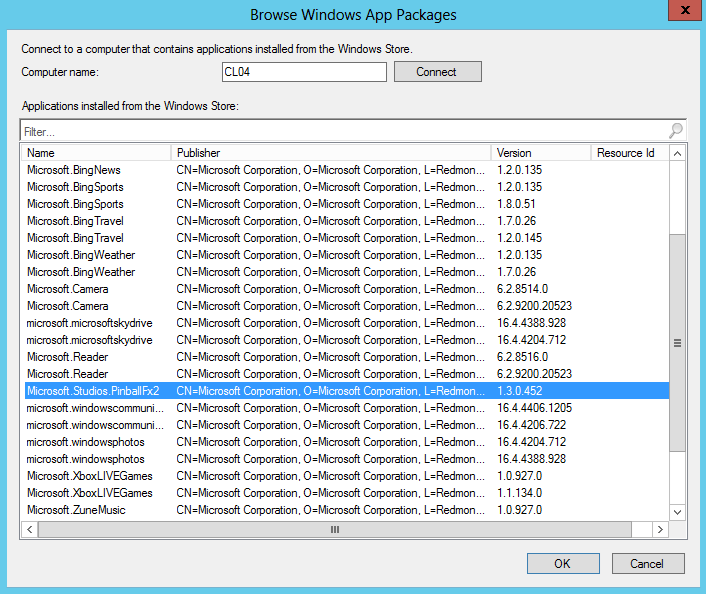 A new feature in ConfigMgr 2012 SP1 is deploying Windows 8 packages, available in the Windows Store or as an Appx created by yourself. 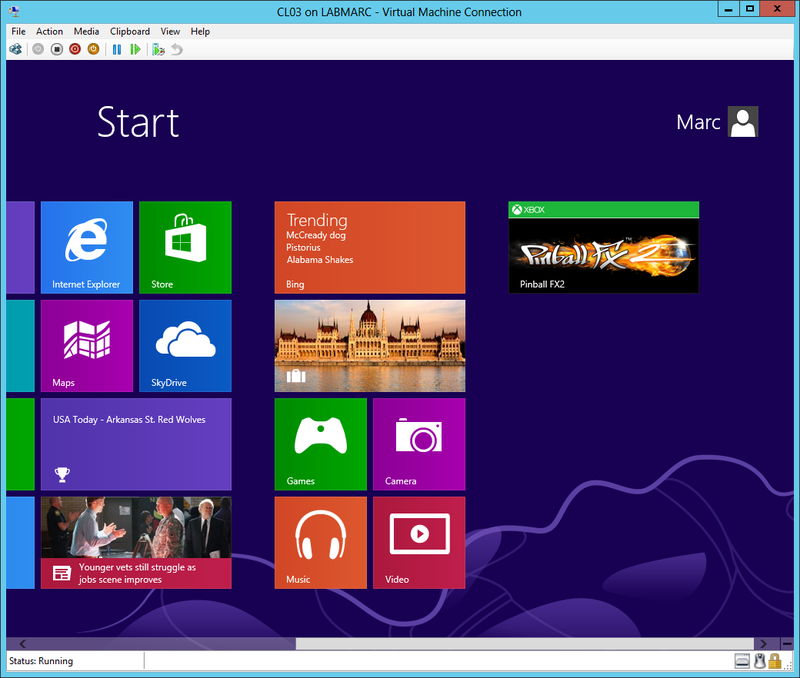 This blog shows how to import a Windows app obtained from the Windows Store. You need a reference computer which has the app downloaded and installed which ConfigMgr will use to gather the content of the required app. 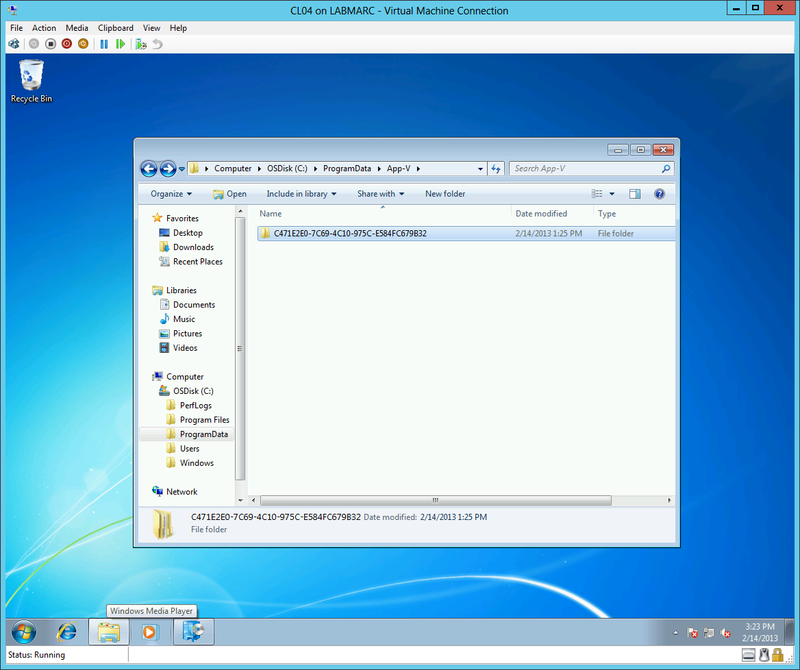 The reference computer needs to be configured to allow being accessed from the ConfigMgr 2012 Console. This can be achieved easily by running the command winrm quickconfig on the reference computer. 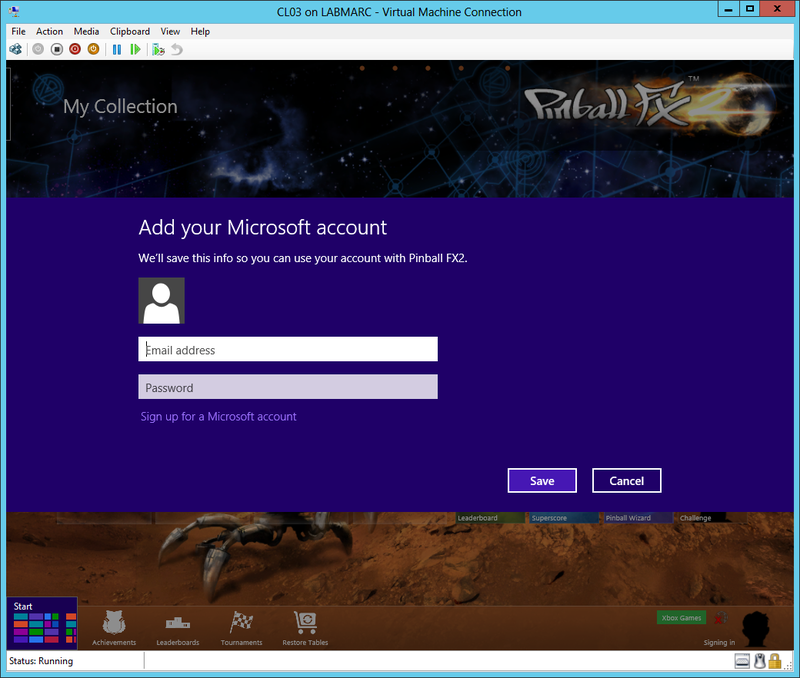 In this example I installed Pinball FX2 on the reference computer and I will import this in ConfigMgr 2012 SP1. After pressing OK the rest of the wizard is more or less a ‘next-next-finish’ thing. Ultimately, this is the result. I noticed that the option to distribute content was greyed out. While creating the deployment I noticed I didn’t need to select a Distribution Point which makes me wonder what source will be used. After clicking Install the app will be installed from the Windows Store. 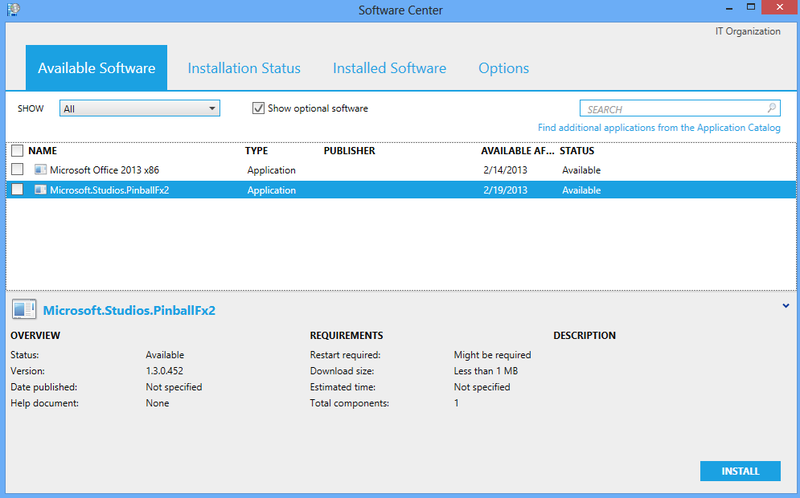 In order to have the application installed, a Microsoft account must be connected to the user account who installs the app. Of course this works on Windows 8 or Windows Server 2012 and your user account must be connected with a Microsoft Account in order to access the Store. 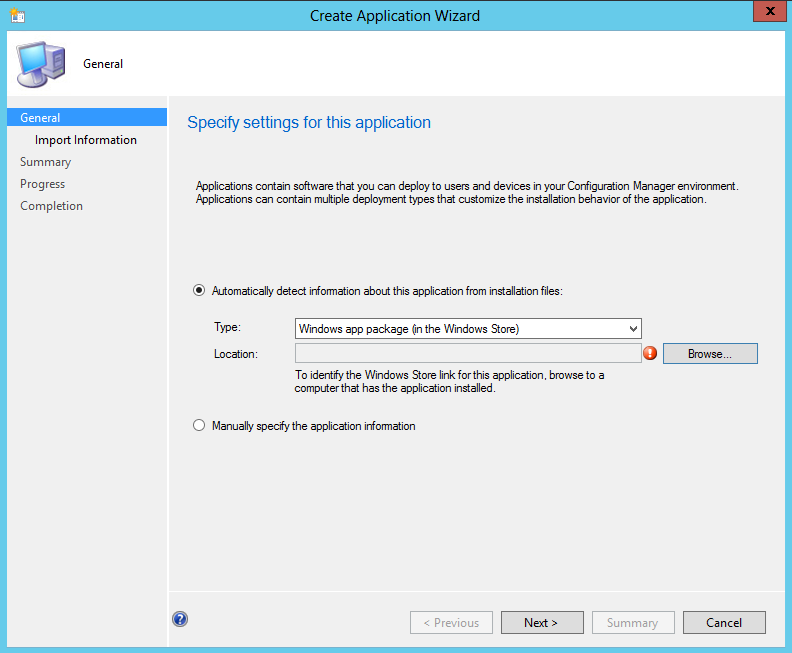 In a recent blog post I explained how to supersede applications in ConfigMgr 2012 (SP1). Thanks to the improved Application Model, it is easy to replace applications by a different one. Application supersedence allows you to automatically uninstall the superseded application and install the application that supersedes the superseded one. This blog is essentially the same, but virtual applications using App-V 5 are used instead. The screenshot above shows Microsoft Office 2010 is installed on my client. In the Start Menu, you can see its shortcuts. The App-V 5 Client’s cache location is C:\Programdata\App-V. Each virtual application is represented with a GUID folder as you can see here, you can actually browse the folder and locate its contents. Now let’s import Microsoft Office 2013 (also sequenced with App-V 5) and configure it to supersede Microsoft Office 2010. After some waiting the application was deployed. Oh oh. Word fails to start, most likely I sequenced on a 64 bit Windows 8 machine and this is 32 bit Windows 7 and I didn’t use a sequencing recipe. 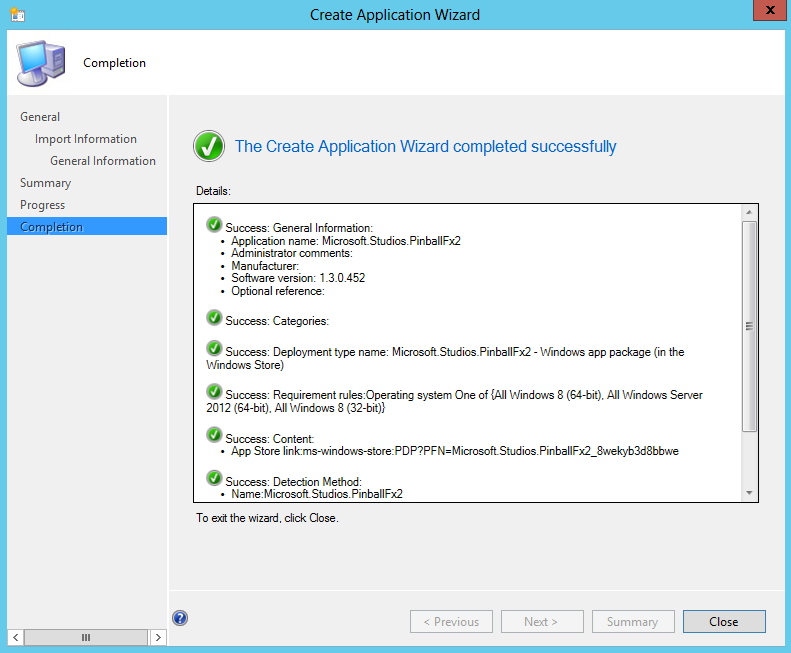 For the last few months I’ve been heavily involved with System Center Configuration Manager 2012 SP1. Not only with the beta, but deployments with the RTM of SP1 as well. Since most of these projects are focused on deploying infrastructures, many features regarding Application Management got less attention from me. 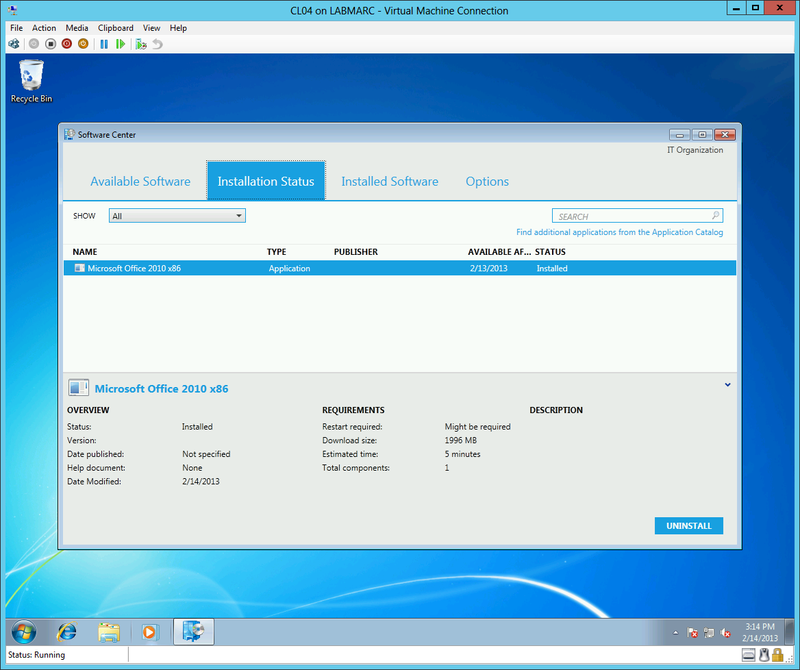 What is new in ConfigMgr 2012 SP1 is distributing virtual applications based on App-V 5. In this context, I’ve decided to get some impressions regarding App-V 5 and compare it with the previous version 4.6 SP2. One of the first things to check is the Sequencer. I built a machine with Windows 8 and installed the Sequencer to see how it works. For the rest, the actual sequencing isn’t much different than its predecessor. I ignore the App-V Server implementation since I’m not interested in this. In most cases, I facilitate deploying App-V 5 sequences using ConfigMgr 2012 SP1. Next impression is installing the client. The client needs to be configured in stand-alone mode since ConfigMgr 2012 SP1 is responsible for distributing the applications. 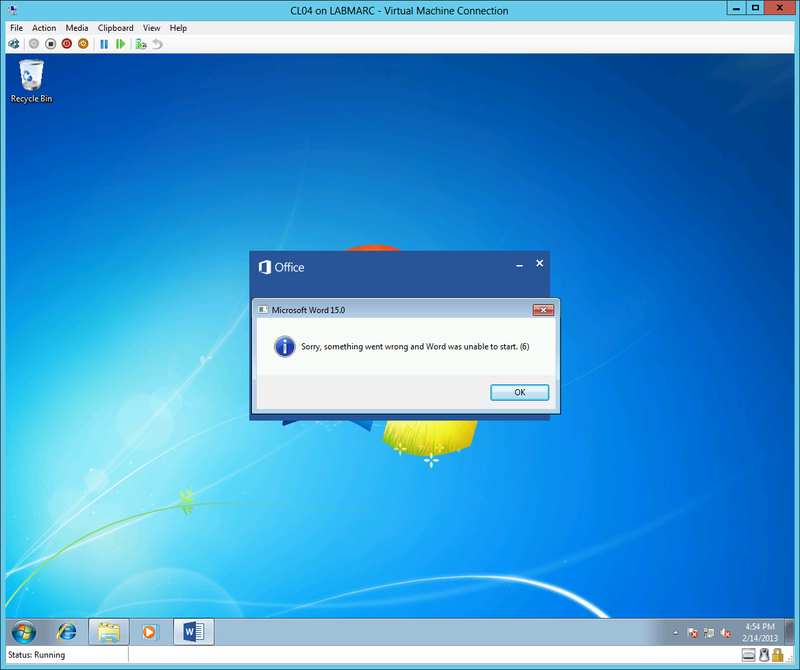 Enabling Client Push Installation is a very comprehensive method of automatically installing ConfigMgr 2012 clients on machines discovered by the discovery method of your choice. 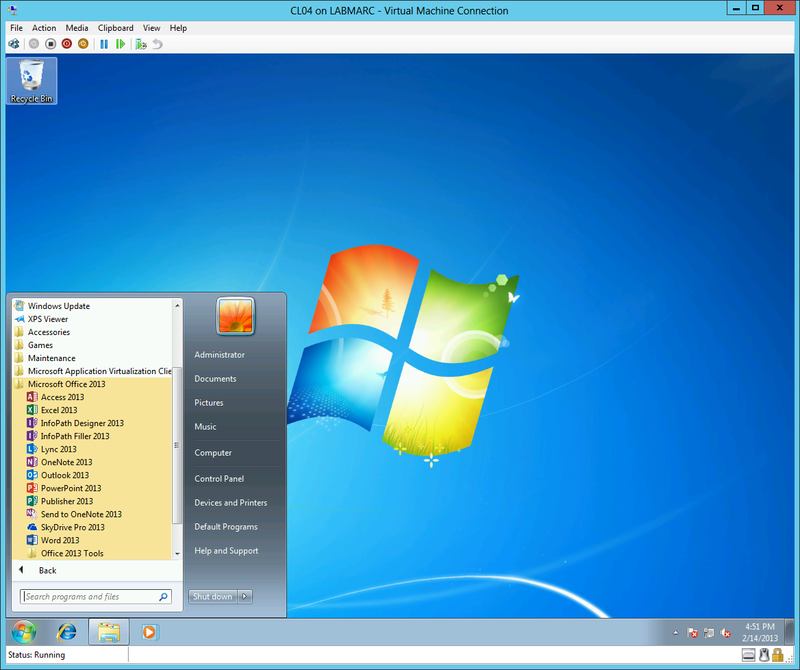 In some rare cases, especially in environments with a lot of legacy machines (Windows XP SP3 and Windows Server 2003 (R2) SP2), you may need to check if all client requirements are met. Recently, I was using Client Push Installation and on quite some legacy machines I received error 1305 in the ccm.log file. Error 1305 means: The revision level is unknown. After some troubleshooting, I learned that all those machines did not have BITS 2.5 installed but an older version. In this environment, no existing ConfigMgr 2007 environment was ever implemented so this issue was never addressed in the past.